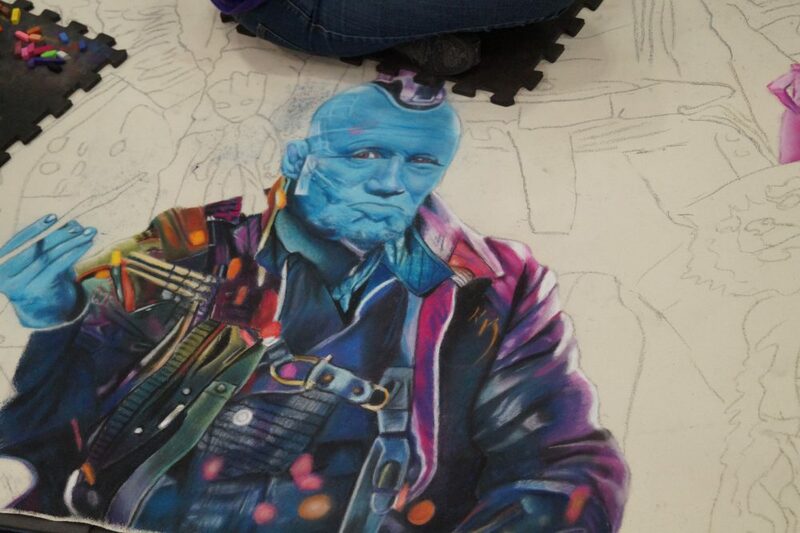 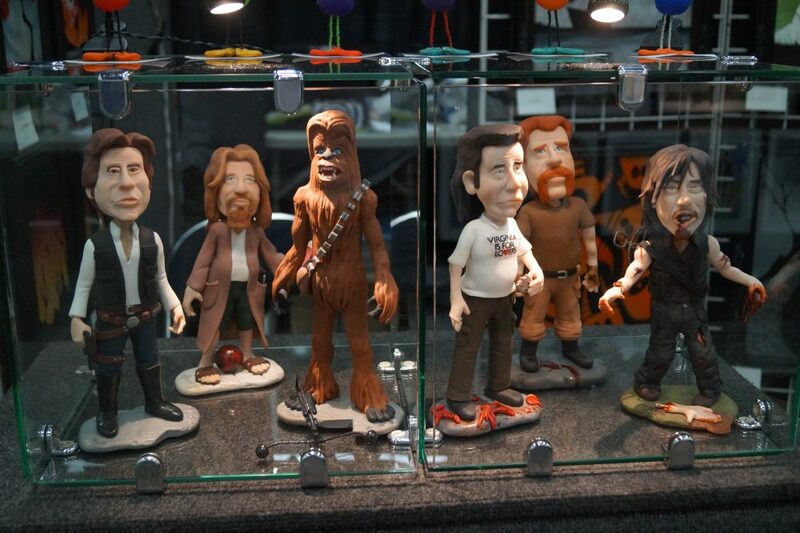 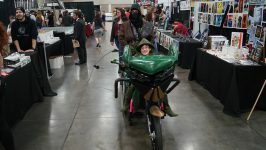 What’s better than a comic convention coming to your town? 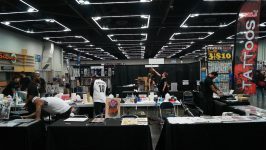 How about two conventions in one? 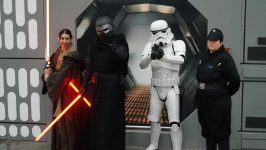 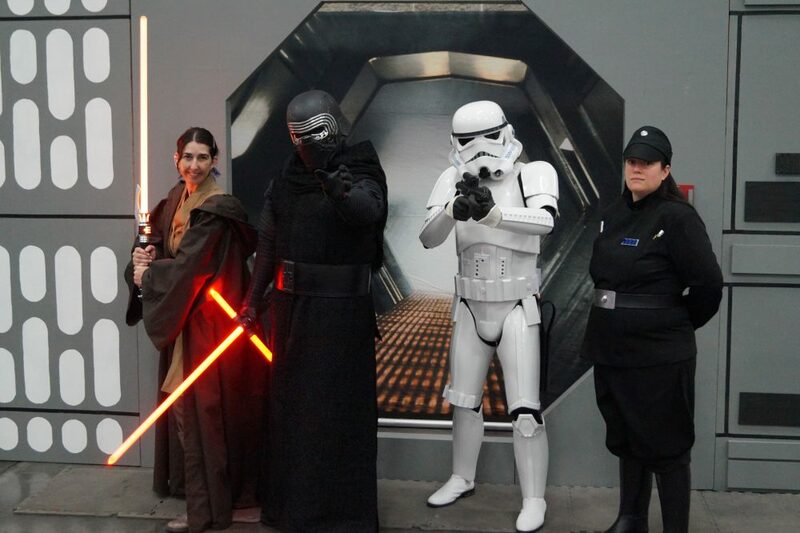 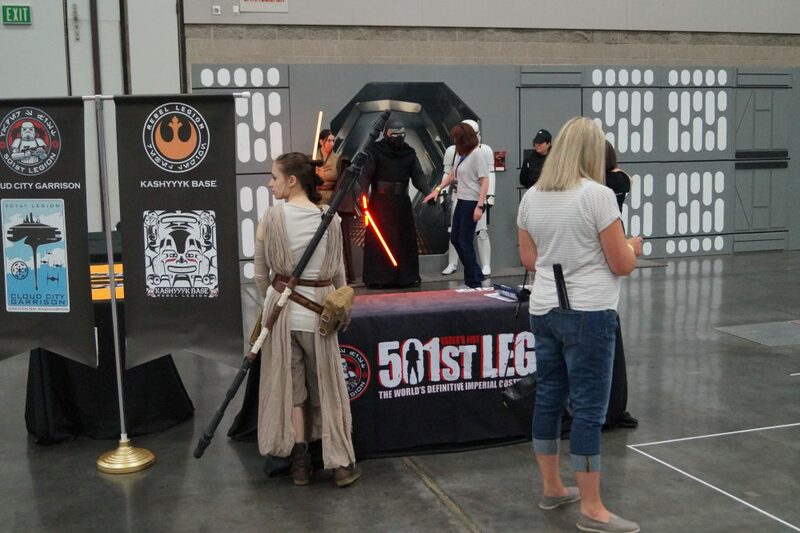 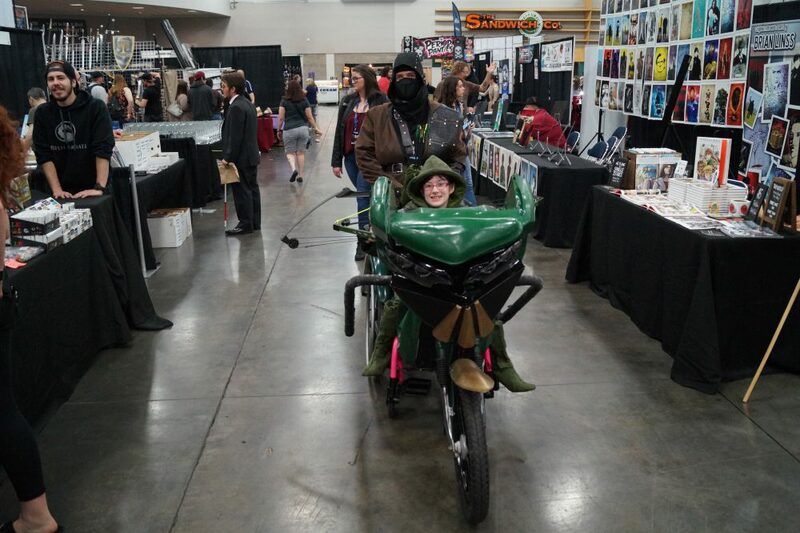 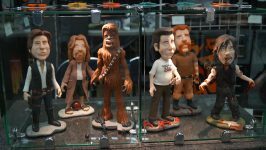 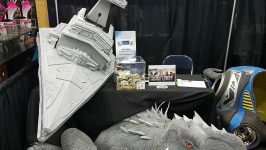 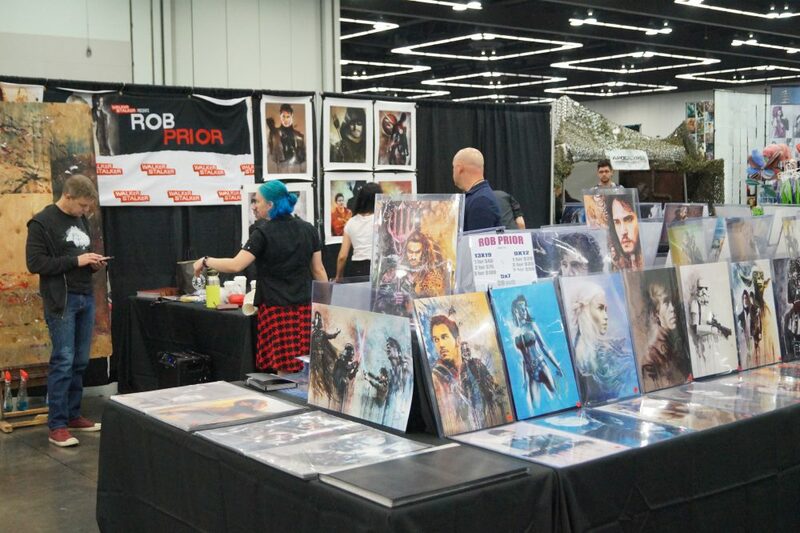 Heroes & Villains Fan Fest and Walker Stalker Con are just those conventions that came to Portland, OR this past weekend. 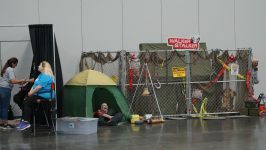 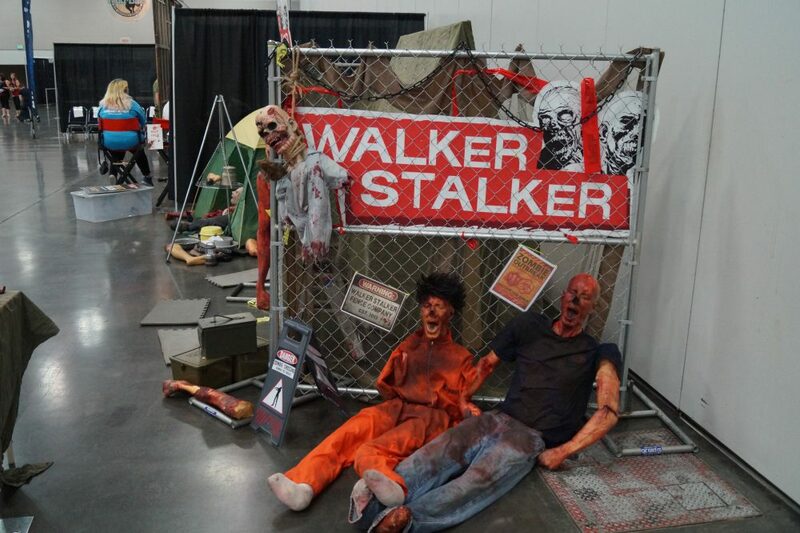 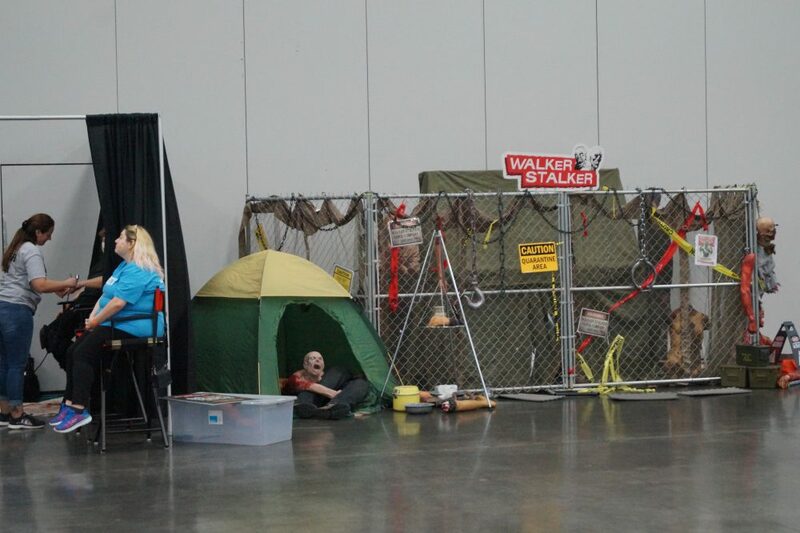 As a fan of The Walking Dead I had heard of Walker Stalker Con before so I was excited to check it out. 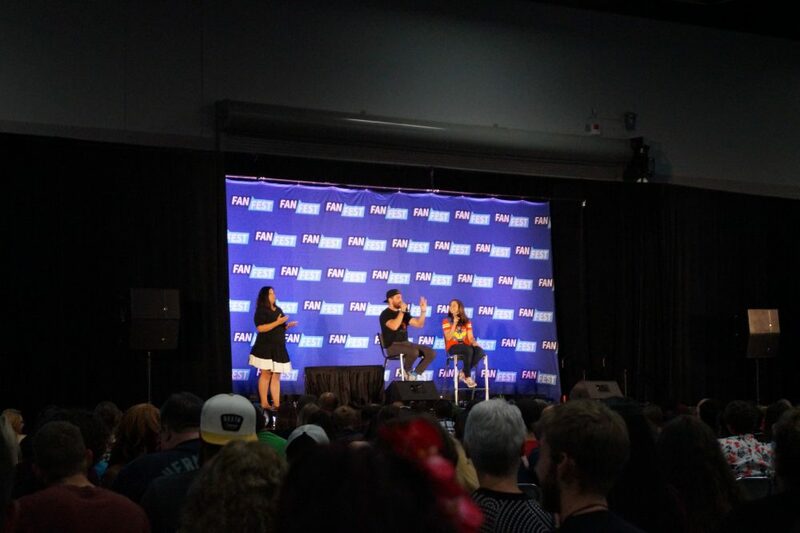 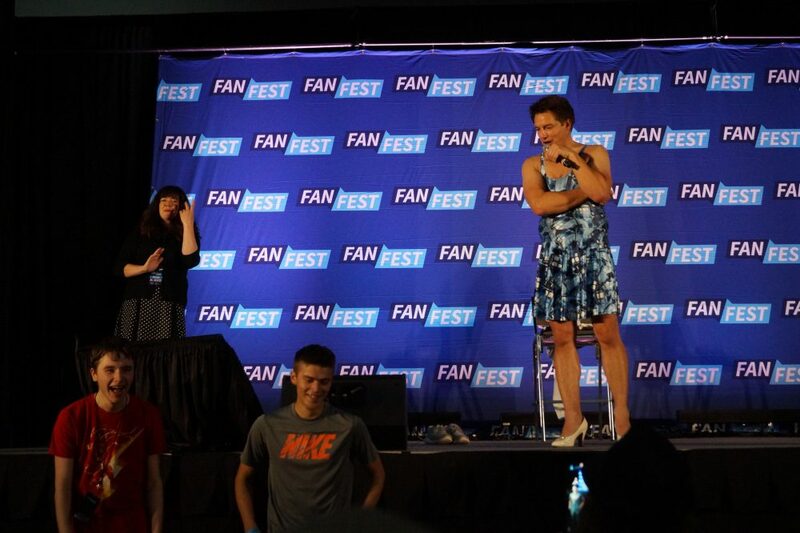 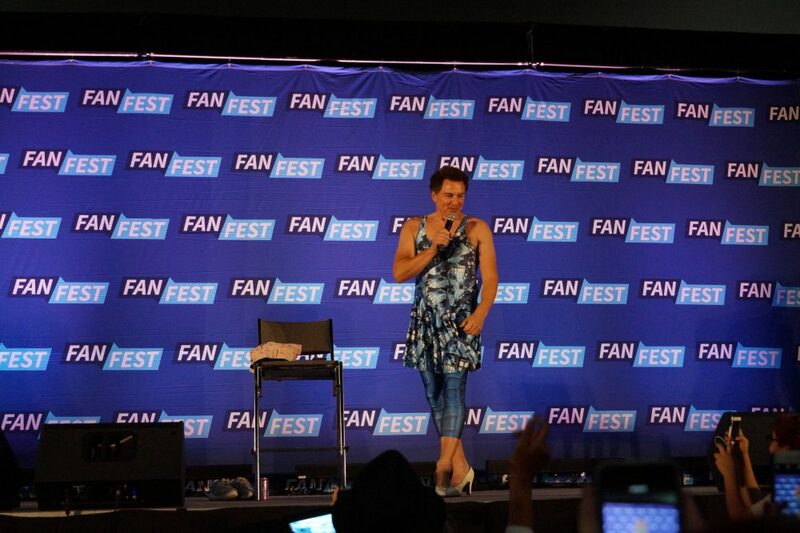 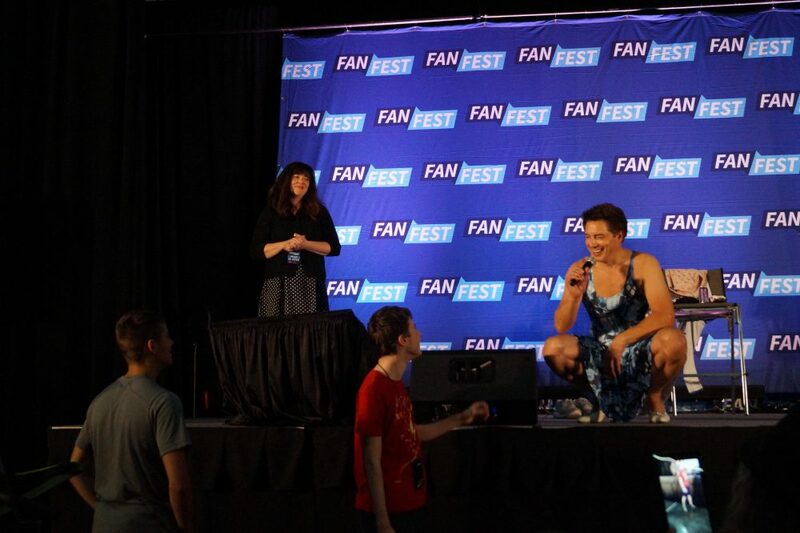 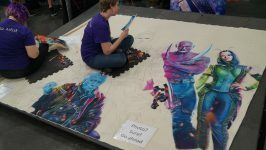 The fact that Heroes & Villains Fan Fest brought along other stars such as John Barrowman was icing on the cake. 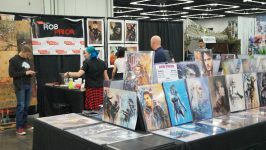 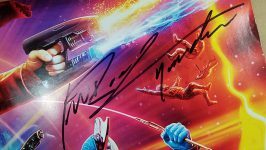 I arrived early to the Oregon Convention Center as I was worried about a large line for the sole autograph I hope to get added to my Guardians of the Galaxy Vol. 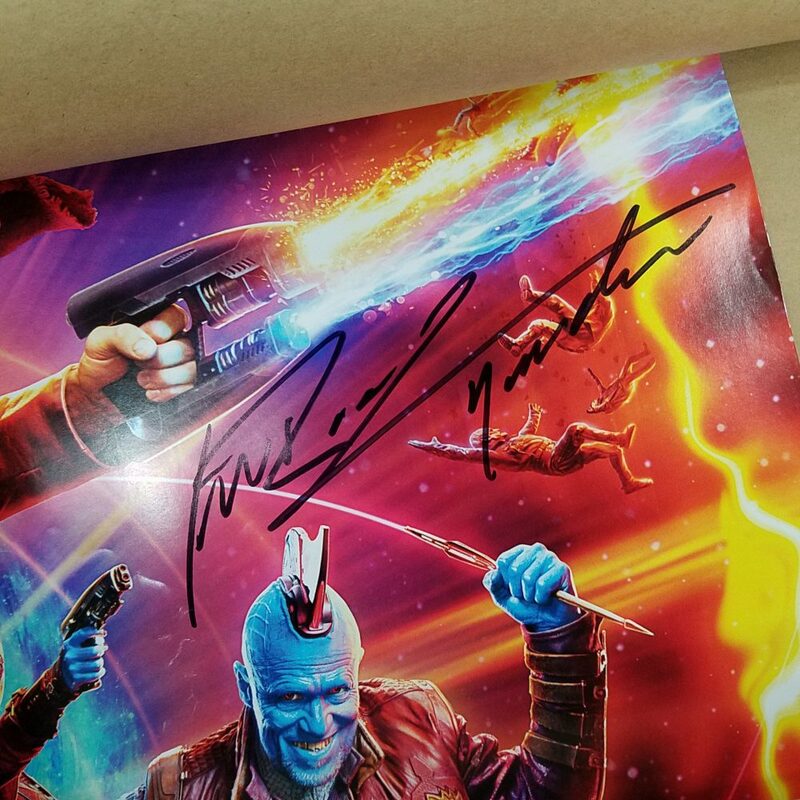 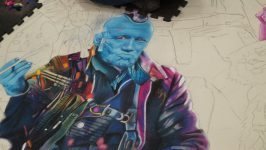 2 one sheet, Michael Rooker. 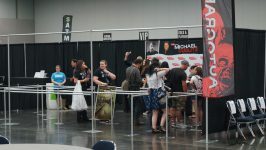 After finding Rooker’s booth next to Sean Gunn I learned that it would be a bit before he got there and decided to check out the rest of the con floor. 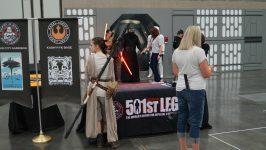 There was a great mix of booths and cosplay. 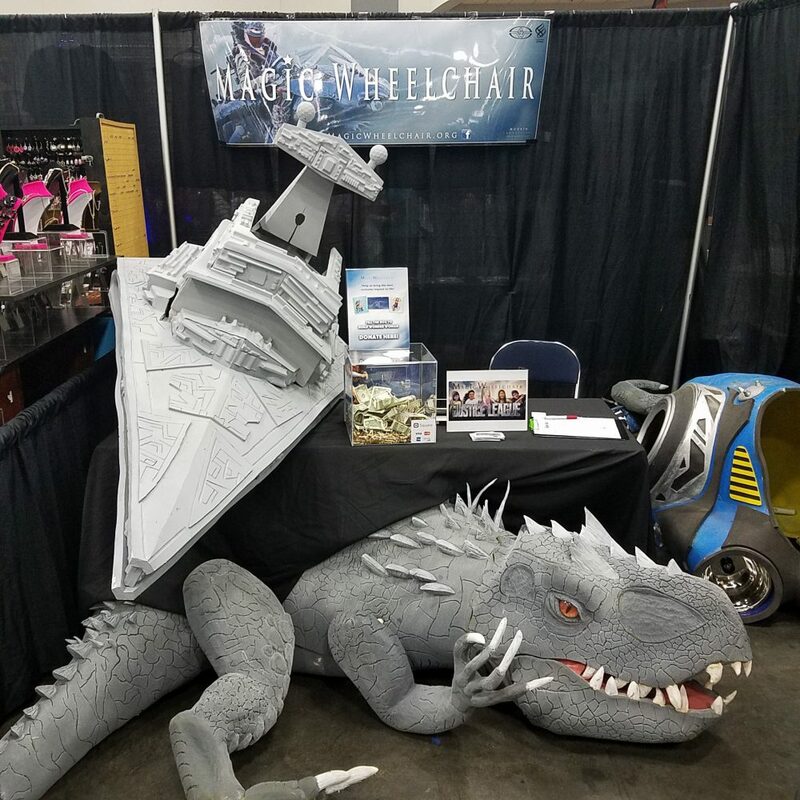 I especially liked the Magic Wheelchair booth and how that organization is trying to spread joy for wheelchair bound children. 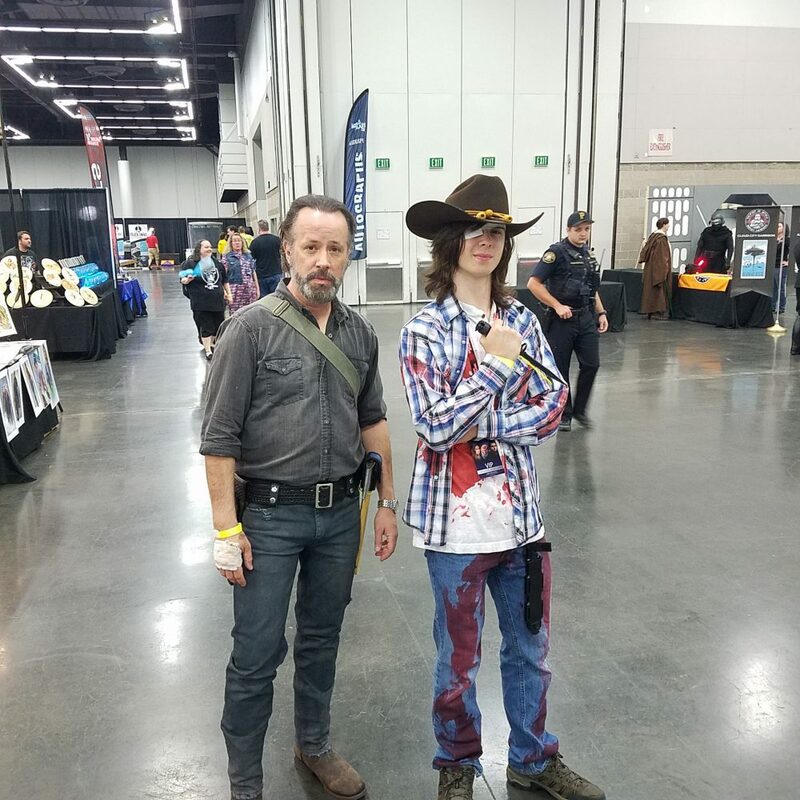 I came across a great Rick and Carl duo whom I assume were real life father and son. 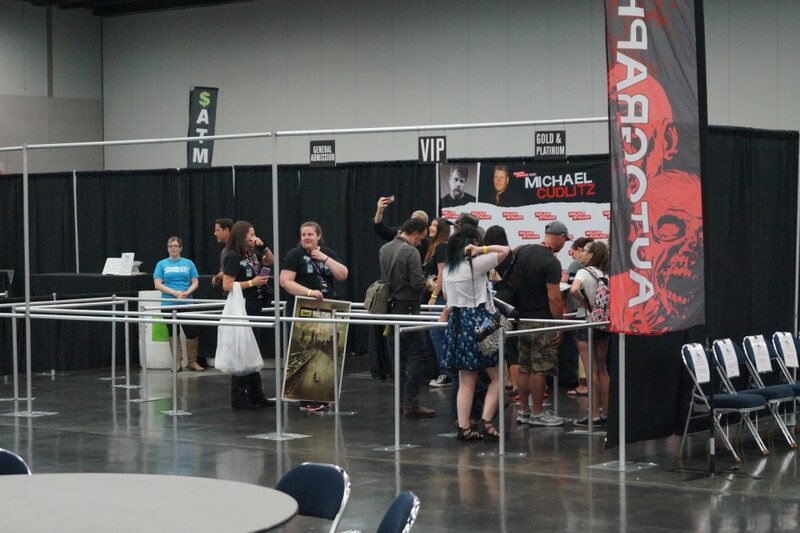 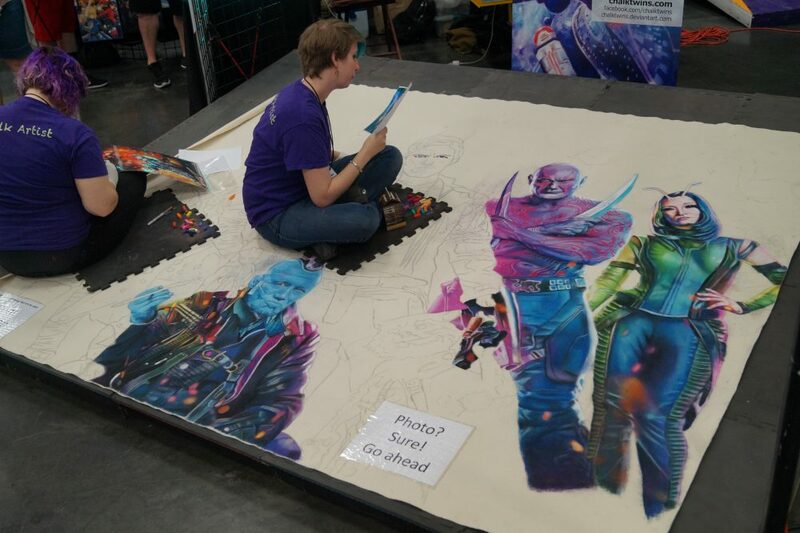 After a few laps around the floor it was time to get in line to get Yandu to sign my one sheet. 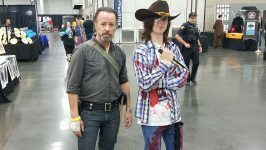 He was very friendly and talkative as I had imagined and it was a great start to my con. 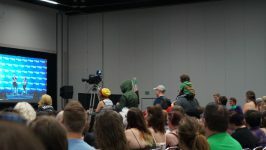 With that finished I managed to get over to the large panel room just before Stephen Amell finished his panel. 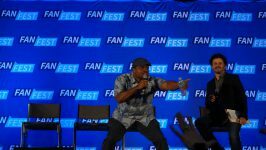 The Arrowverse is not something I’m much familiar with but it was great to learn more about the actor. 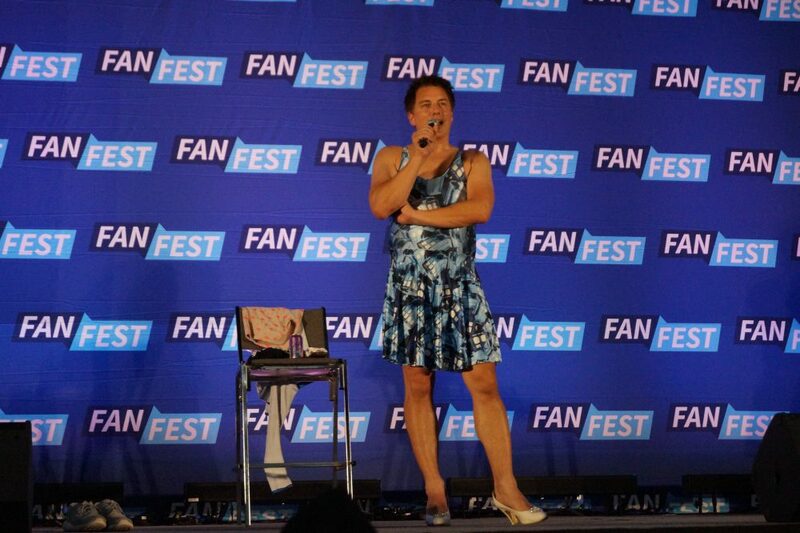 After a quick reset of the room it was time for the John Barrowman panel. 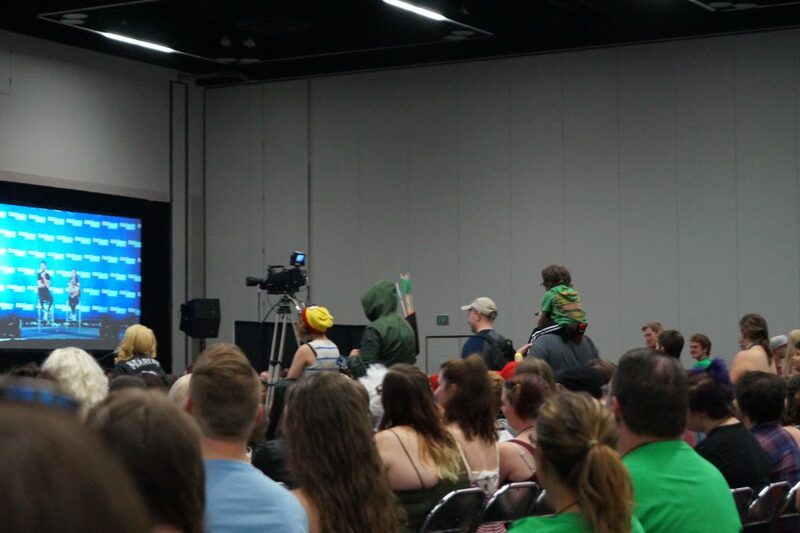 I had heard him before in front of a live audience on the Nerdist Podcast and it was definitely a memorable episode. 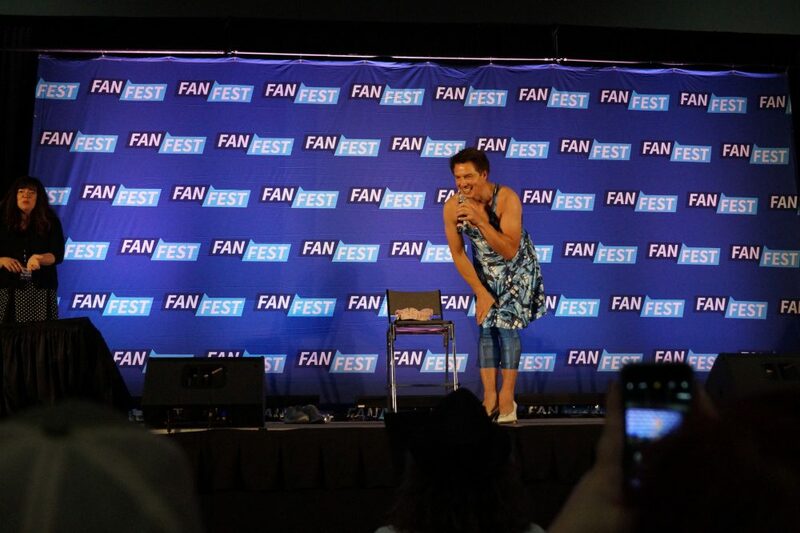 When he stepped onto the stage in a tight Doctor Who dress complete with Tardis leggings and heels I knew we were in for quite a treat. 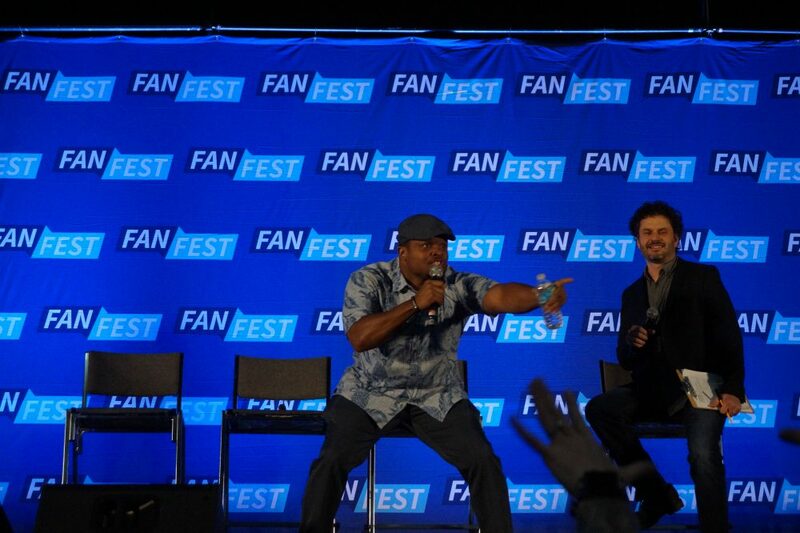 I loved him as Capt. 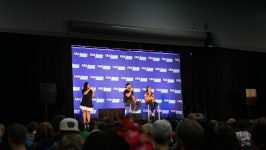 Jack Harkness in Doctor Who and it was a delight to sit in a room with the Captain as he entertained us with some of the raunchiest panel stories I’ve ever heard for 45 minutes. 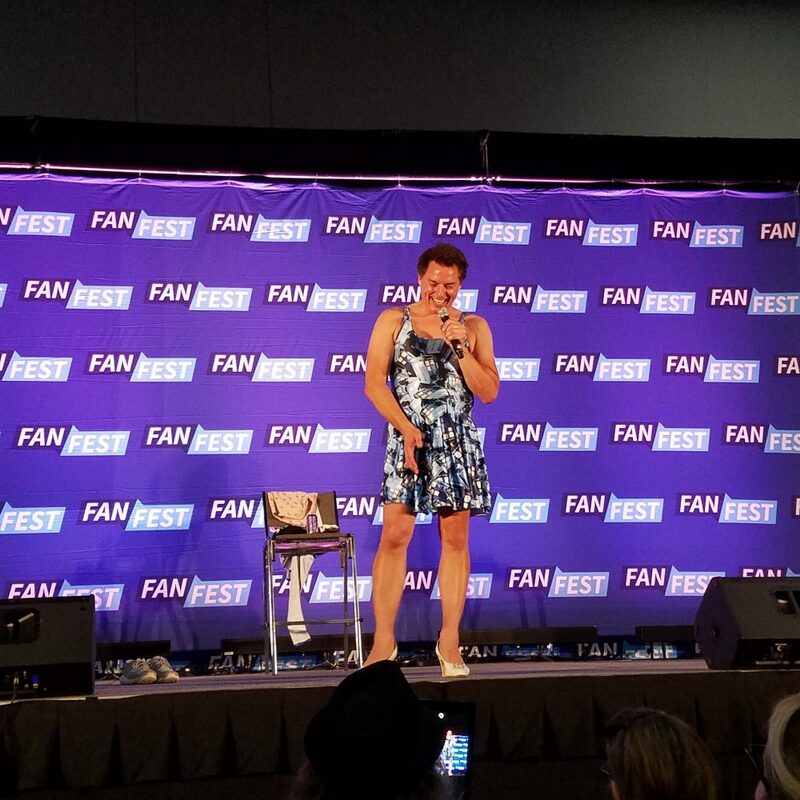 An X-rated story involving a hole in a pastry box and the participation of a super fan and his 18 Year Old friend (Barrowman made sure to ask first) in a bit of banter were highlights of a panel that had the while room laughing pretty much the entire time. 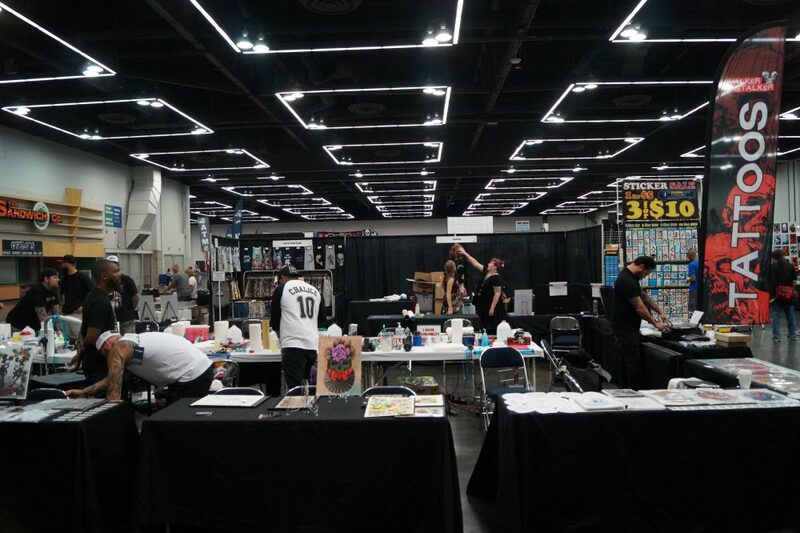 After that crazy 45 minutes it was time to get just a little bit more serious with my next and last panel of the day. 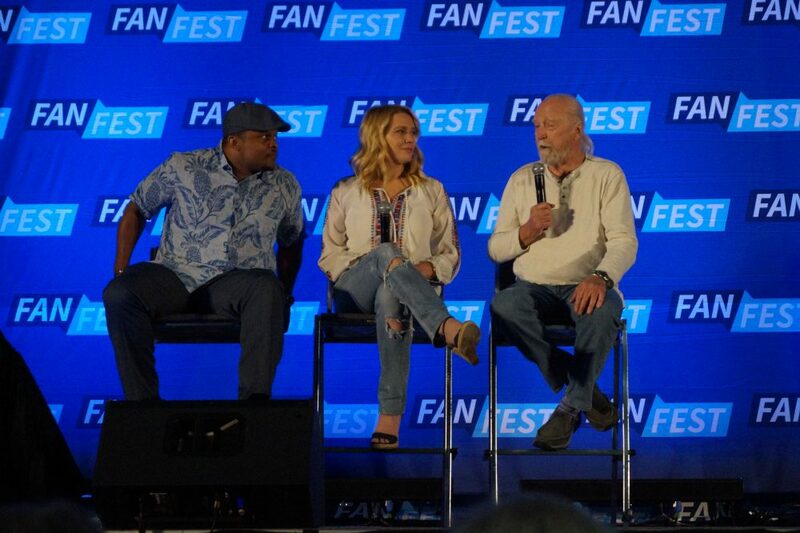 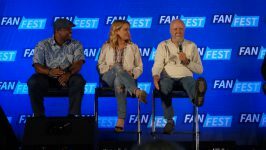 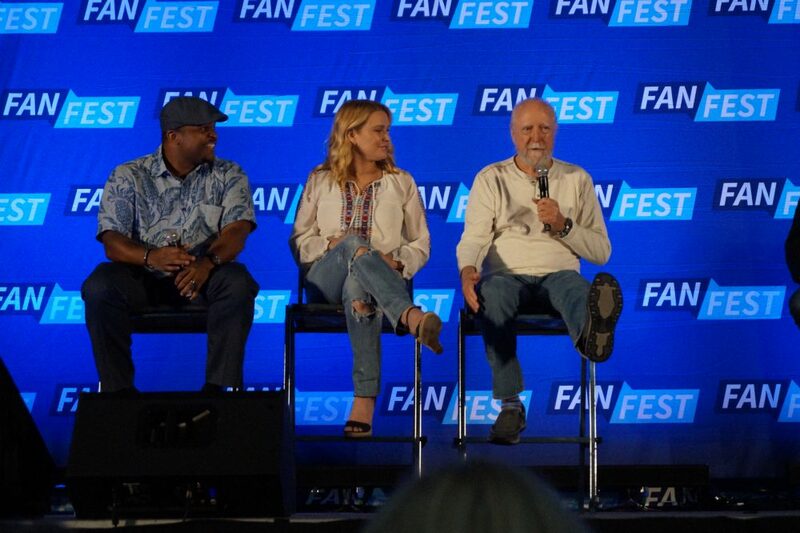 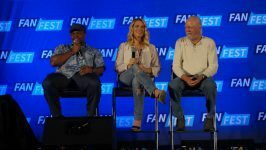 It was bittersweet to see Scott Wilson, Laurie Holden, and Irone Singleton on the stage together as their characters on The Walking Dead were some of my favorites before they were killed in the show. 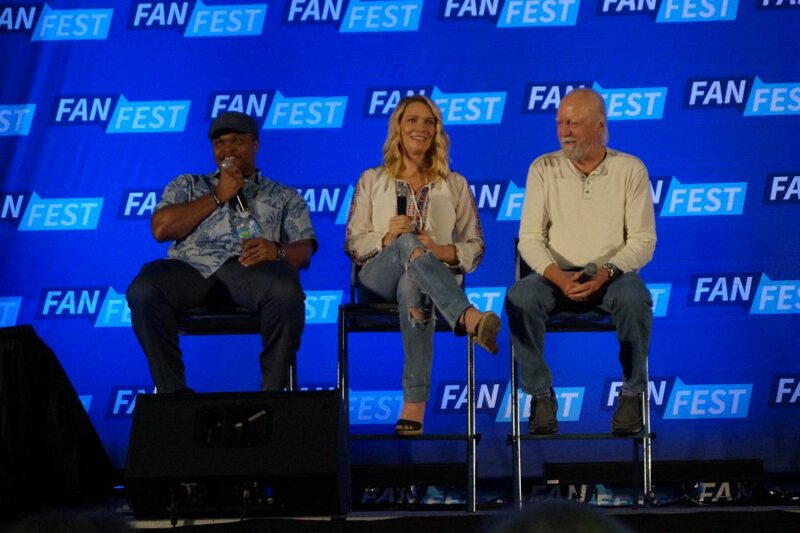 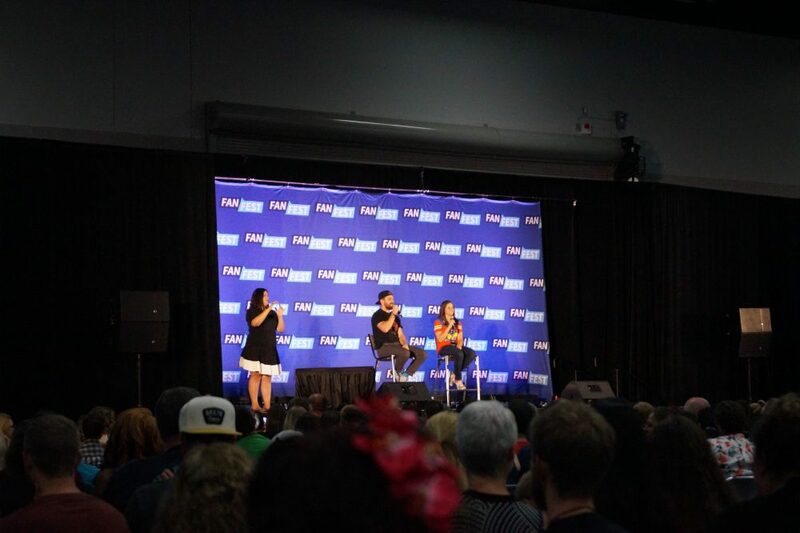 The trio told some great stories about their time in Atlanta and reaffirmed what I knew from seeing countless interviews and panels with the cast, that the comradery that the cast had on this show was something special. 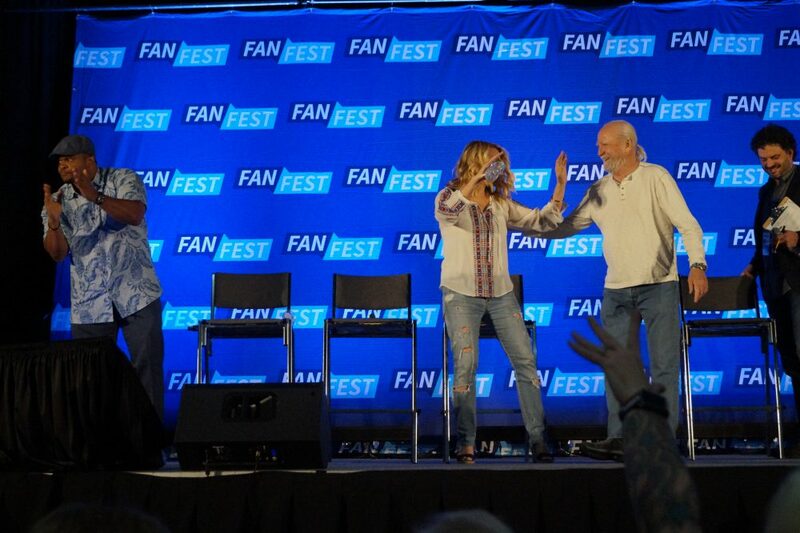 With that my time at Heroes & Villains Fan Fest and Walker Stalker Con was complete. 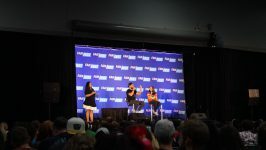 Both conventions make their way to towns across the United States with dates even in London, Germany, and Australia. 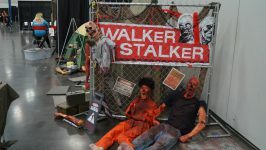 So keep an eye out on their sites to see if they’ll be coming to your town. 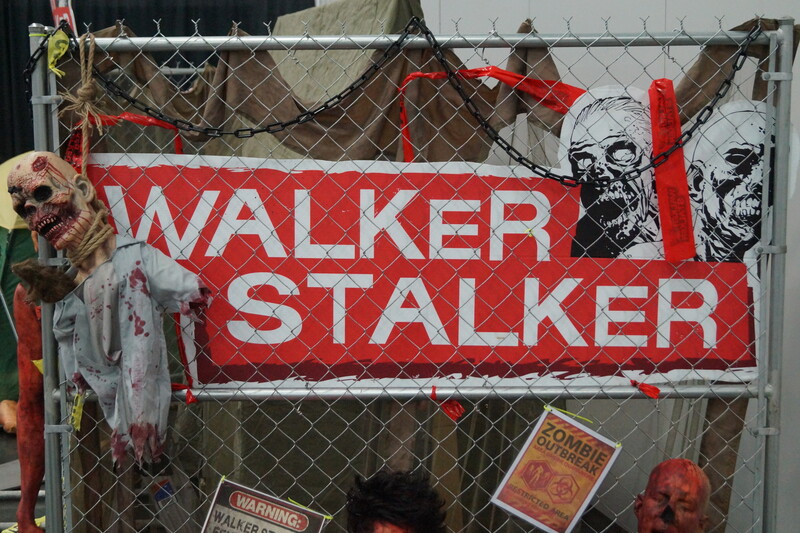 They’re both worth checking out. 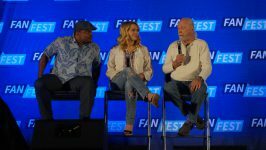 Next Story → The Official Star Trek Convention 2017 in Las Vegas!